The Pinnacle: If you're looking for a home with distinction - you'll find it at The Pinnacle. A prestigious address, this rental community measures up to expectations with spacious, modern suites, large balconies, five full-sized appliances including dishwasher and in-suite laundry, a fitness centre, and The Pinnacle Club. Stylish, contemporary interiors are equaled by the incredible views - clear to the Majestic Rockies and great cityscape panoramas, many suites overlooking the clear waters of the Glenmore Reservoir. Flexible terms for our YMM evacuees. 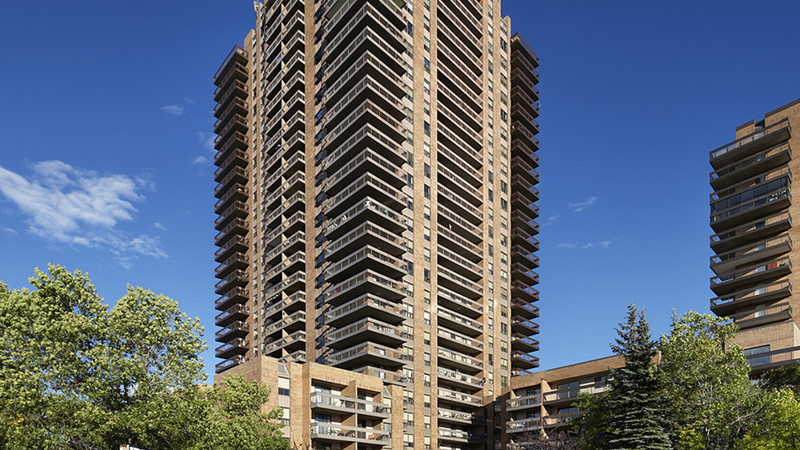 A prestigious address, this rental community measures up to expectations with spacious, modern suites, large balconies, five full-sized appliances including dishwasher and in-suite laundry, a fitness centre, and The Pinnacle Club. Stylish, contemporary interiors are equalled by the incredible views - clear to the majestic Rockies and great cityscape panoramas, many suites overlooking the clear waters of Glenmore Reservoir.